Choose the SIGGRAPH 2018 registration category that best fits your schedule and budget, and register now! For maximum savings, be sure to register before 22 June 2018. SIGGRAPH 2018 provides several registration categories to fit a variety of access needs. Explore what’s included with each registration. Saturday: attendees participate in a variety of talks and panel sessions with fellow executives and top creative experts. Sunday: attendees hear from several SIGGRAPH 2018 conference chairs and join in a curated tour of the SIGGRAPH 2018 experience hall. All weekend: Symposium attendees meet, interact and network with fellow executives, content creation experts, computer graphic pioneers, investors, economic development executives, government policy makers, and those from the broader community who are looking for insights into computer graphics-related business opportunities. Early access to Monday morning’s keynote talk and Monday evening’s Computer Animation Festival. Includes admission to Appy Hour, Art Gallery, Birds of a Feather, Emerging Technologies, Exhibitor Sessions, Experience Presentations, International Center, Job Fair (Tuesday and Wednesday), Posters, Poster Sessions, SIGGRAPH Next, Studio, and Virtual, Augmented and Mixed Reality and the Exhibition (Tuesday–Thursday). Super-size your Business Symposium registration by combining it with Full Conference Platinum or Full Conference registration. Early access to highly attended sessions, including Technical Papers Fast Forward, Keynote Session, and Computer Animation Festival Electronic Theater. Exclusive entrance to all Technical Session rooms and the Conference Reception. Exclusive email for Concierge Level assistance in advance and onsite. One extra drink ticket for Reception. 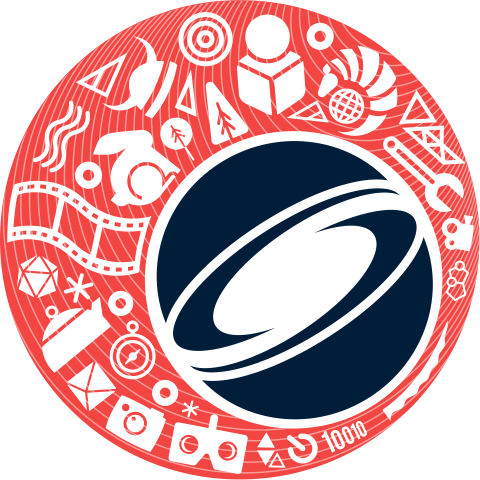 Raffle for a complimentary Full Conference registration to SIGGRAPH 2019. Registration is non-transferable. One free drink ticket for Appy Hour. Early access to the Exhibition. Pre-show sign-ups for various limited attendance events. Relax in the Platinum Lounge, complete with charging stations. Includes admission to ALL conference programs and events, including the Opening Ceremony and ACM SIGGRAPH Awards Presentation, ACM SIGGRAPH Award Talks, Appy Hour, Art Gallery, Art Papers, Birds of a Feather, Computer Animation Festival-Electronic Theater, Courses, Educators Forum, Emerging Technologies, Exhibition (Tuesday-Thursday), Exhibitor Sessions, Experience Presentations, International Center, Job Fair (Tuesday and Wednesday), Keynote Session, Panels, Posters, Poster Sessions, Production Sessions, Real-Time Live!, Reception, SIGGRAPH Next, Studio, Talks, Technical Papers, Technical Papers Fast Forward, and Virtual, Augmented and Mixed Reality and VR Theater. Includes one-day admission to ALL conference programs and events, and the Exhibition (Tuesday-Thursday). Does not include Electronic Theater or Reception ticket. Includes admission to the Opening Ceremony and ACM SIGGRAPH Awards Presentation, ACM SIGGRAPH Award Talks, Appy Hour, Art Gallery, Art Papers, Birds of a Feather, Educators Forum, Emerging Technologies, Exhibitor Sessions, Experience Presentations, International Center, Job Fair (Tuesday and Wednesday), Keynote Session, Posters, Poster Sessions, Production Sessions, Real-Time Live!, SIGGRAPH Next, Studio, and Virtual, Augmented and Mixed Reality and the Exhibition (Tuesday-Thursday). Does not include Electronic Theater or Reception ticket. Includes admission to Appy Hour, Art Gallery, Birds of a Feather, Emerging Technologies, Exhibitor Sessions, Experience Presentations, International Center, Job Fair (Tuesday and Wednesday), Posters, Poster Sessions, Production Gallery, SIGGRAPH Next, Studio, and Virtual, Augmented and Mixed Reality and the Exhibition (Tuesday-Thursday). Does not include Electronic Theater or Reception ticket. Includes admission to Job Fair (Tuesday and Wednesday) and Exhibitor Sessions, and the Exhibition (Tuesday-Thursday). Must be pre-ordered by 13 July and picked up in Vancouver at Merchandise Pick-up. The Conference Proceedings USB contains documentation of work presented at the conference. PDFs and supplemental material (videos, still images, source code) from the following conference programs: Appy Hour, Art Gallery, Art Papers, Computer Animation Festival, Courses, Emerging Technologies, Panels, Posters, Production Sessions, Real-Time Live!, Studio, Talks, Technical Papers and Virtual, Augmented and Mixed Reality. Order this product before the conference or onsite, and it will be delivered to you approximately six weeks after the conclusion of the conference. The Conference Presentations USB contains recordings of in-person presentations made at the conference. Material from many conference programs (subject to author permission), including Art Papers, Courses, Panels, Production Sessions, Real-Time Live!, Talks, and Technical Papers. All children must register for the conference, regardless of age. Each paid adult may register at, up to three children, 12 and under at no charge. Children 13 and over will be required to purchase their registration. There are no age-based restrictions to attend at Conference. However, children 17 and under must be accompanied by a registered adult at all times. Unattended and lost children are to be taken to the Conference Management Office until Parents/Guardians can be located. Conference Management staff will notify SIGGRAPH security and instruct them to advise their staff with respect to the discovered child, as parents will probably approach Security personnel with inquiries. Please be aware that parts of the Conference may contain adult content, graphic images, or violence. By registering for SIGGRAPH 2018, I agree to abide by any decision of the organizers and event hosts as to any aspect of my participation in this event, including their decision to suspend my participation for any reason whatsoever. To take advantage of discounted registration rates, you must be a member of ACM or ACM SIGGRAPH (Become a member). You must provide a valid 2018 membership ID number at the time you register. Credit will NOT be given if you become a member after registering for SIGGRAPH 2018. To take advantage of student member registration rates, you must be a current, full-time student and a member of ACM or ACM SIGGRAPH (Become a member). You must present identification showing you are a student in 2018 in the form of a school ID or other official documentation from your educational institution. Credit will NOT be given if you become a member after registering for SIGGRAPH 2018. 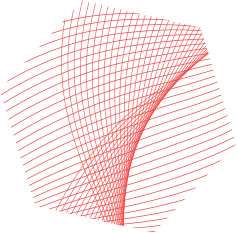 Non‐Member paid registration (with no discounts) for the Full Conference also includes a one‐year membership to ACM SIGGRAPH. Memberships will become active approximately two weeks after the conference. Substitutions can be made by presenting a letter signed by the original registrant, on company letterhead, authorizing the change. The substitution letter should include the original registrant’s confirmation ID number. If you need information about a visa to travel to the Canada, see How to Apply for a Visa. If your visa application requires a letter of invitation from SIGGRAPH 2018, you can request one during the online registration process. When you register for the conference from outside Canada, and your country DOES NOT participate in the Visa Waiver Program, SIGGRAPH 2018 will send you a letter of invitation with your registration materials. Your donations to the Student Registration Sponsorship Program enabled scores of students to participate in previous SIGGRAPH Conferences. All SIGGRAPH 2018 technical materials and merchandise must be picked up at the conference at Merchandise Pickup. No refunds will be given for items that are not claimed at the conference, nor will unclaimed items be shipped after the conference. Registration forms must be received (and full payment included) on or before this date in order to be eligible for early registration fees. Registration forms must be received (and full payment included) on or before this date in order to be eligible for advance late registration fees. Cancellation requests for refunds must be made in writing and received on or before this date. There is a refund processing fee of $75. Email refund requests to SIGGRAPH 2018 Registration Management. No refunds will be issued after this date. Exhibits Only registrations are not refundable.